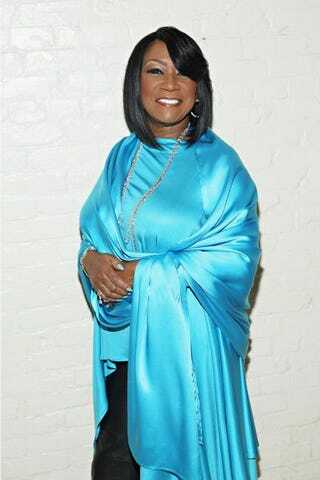 Award-winning singer Patti LaBelle has a personal stake in spreading awareness about lung cancer: She has two sisters who succumbed to the disease within two years of each other. Her sisters, Vivian and Jackie, both of whom she lost in the early 1980s, are why she joined the American Lung Association Lung Force initiative as a spokeswoman. LaBelle would tell you, quite clearly, “One woman dies every eight minutes in the U.S. from lung cancer.” The disease kills almost twice as many women as any other form of cancer. LaBelle, along with the American Lung Association, is hoping to give more individuals, particularly women, a fighting chance by increasing awareness of early-detection screening and, of course, the often overlooked risk to women. In addition to her role as a spokeswoman, LaBelle will be working closely with the initiative to create a short film about how lung cancer has affected her life, as well as the lives of others. It is set to debut during National Women’s Lung Health Week, beginning May 8, 2016. According to American Lung Association data, about 1 percent of more than 1,000 American adult women surveyed were concerned about the disease. Some 67 percent of black women believe that breast cancer is more of a concern than lung cancer, for example, but the survival rate for lung cancer (17 percent) is a mere fraction of the breast-cancer survival rate (approximately 89 percent). “Lung cancer has been so deadly in the past, [and] there aren’t that many survivors who can serve to raise awareness and to promote research and education on behalf of the disease,” Dr. Andrea McKee, a radiation oncologist at Lahey Hospital and Medical Center in Burlington, Mass., said. The lack of survivors is partially why new opportunities for early-detection screening have gone relatively unnoticed, making it an important part of the association’s efforts in November, which is Lung Cancer Awareness Month. The initiative is also promoting turquoise as the color to represent lung health. McKee explained that breast-cancer screening has been around for decades and the disease is now often caught in the earlier stages, when chances of survival are good. Survivors then go on to spread awareness, creating the kind of domino effect we see today—a flurry of pink wherever we go, particularly in October. That, unfortunately, has not been the case with lung cancer. “Now we have started to screen for lung cancer in the high-risk population, [and] we’re going to actually have survivors because an early-stage screen-detected lung cancer has the same prognosis as an early-stage breast cancer. It’s about a 90 percent five-year overall survival for patients who have early-stage lung cancer detected through screening, so it’s kind of exciting,” McKee explained. Early detection and screening, which involves a low-dose CT scan to the chest, has been proved to save about 1 in 5 people from a lung-cancer death. But lack of awareness isn’t the only reason that lung cancer goes undetected. Another is the stigma associated with the main cause of the disease: smoking. There are many who believe that smokers know the risk when they light up, so lung cancer is merely a direct result of their decision-making, a viewpoint that McKee wants to change. “You might recall some of the images [in anti-smoking ads] of, like, a pig smoking a cigarette or dirty ashtrays, and trying to really kind of equate smoking with dirtiness,” McKee said. McKee noted that the real work is getting women to see lung cancer as a women’s disease, as a disease that has claimed more women’s lives than breast, ovarian and uterine cancers combined. “Lung cancer is not generally thought of as a women’s health issue, but it is a women’s health issue, and we really want that message to be conveyed to women,” she said. LaBelle said that she recognizes the power of her voice as a singer and is hoping that power translates to fans listening to her as a spokeswoman for lung-cancer prevention.